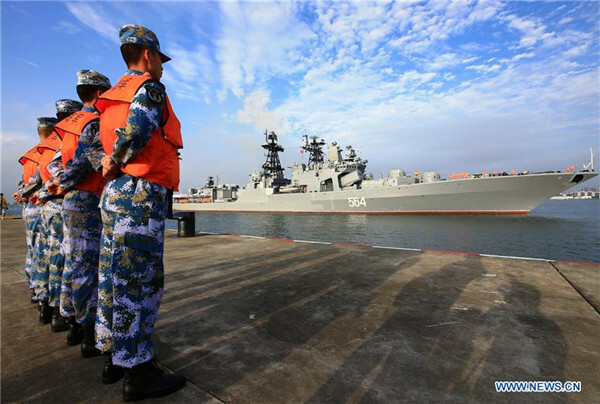 China looks at Taiwan like Russia looked at Crimea, a key territory to control in asserting its power in the Asia-Pacific, three experts on maritime security said Friday. In controlling Taiwan, China would have direct access to the Western Pacific and extend its influence in the East and South China Seas. How the United States and its allies — Japan, South Korea and Australia — would respond to overt aggression from Beijing is unclear. Russia’s seizure of Crimea drew an increasingly stringent series of economic sanctions from the United States and the European Union. Coupled with Moscow’s backing of separatists in eastern Ukraine, there was a new commitment of American ground, naval and air forces to Europe and a steady increase in NATO member countries spending on security. China, however, is a far greater economic power than Russia, and is not afraid to use trade to settle disputes in its favor, the panelists said. 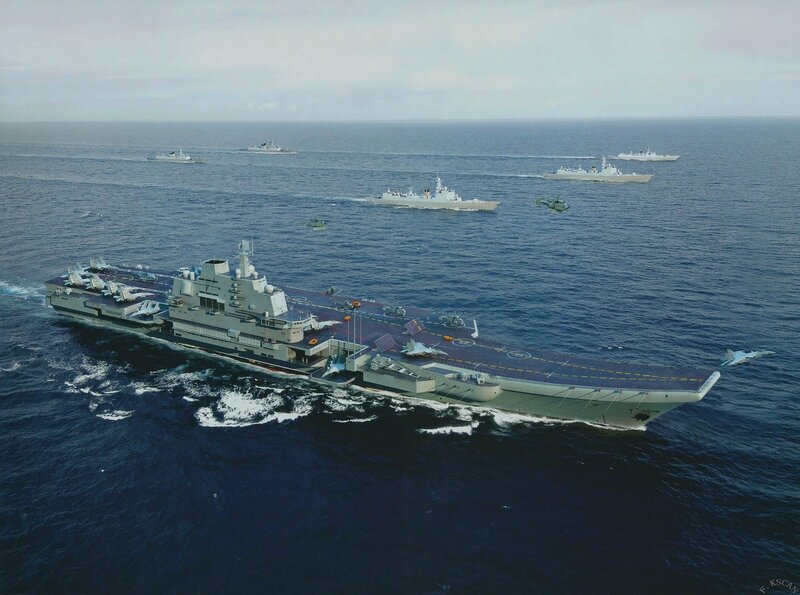 The Chinese have the hard power to force an issue but risk a United States and its Pacific allies response said John Watts, of the Atlantic Council. So it has chosen to follow a hybrid path of military threats and provocations — from island building on coral reefs, aggressive presence in contested waters and severely curbing trade with South Korea and Taiwan to gain an upper hand in any dispute. For example, the Chinese Coast Guard is now under Beijing’s Military Commission and operating in the East China Sea with a naval frigate. The moves require a greater commitment from Tokyo’s Coast Guard in response. This also distracts from Japan’s ability to rein in illegal fishing in its exclusive economic zone by Chinese and North Korean vessels. In addition, China has also stepped up its submarine presence in the East China Sea and use of aerial drones to gather intelligence. China has stepped up to almost daily probes into Japan’s air defense networks. Included in these flights are simulated cruise missile attacks on Japan’s homeland, so they cannot be easily ignored. One possibility to ease the strain on Japan’s air arm would be to have the United States Air Force, operating from Okinawa, also respond to these flights, he said. The long-range impact of the daily alerts of Japan’s air arm cuts the time available for training and degrades its overall readiness for other missions, Kotani added. The reasons for all this activity by the People’s Liberation Army is to show that it can take its naval and air forces out of the water closest to the mainland into the Western Pacific. It is a direct response to what it believes is a continuing threat from the United States, its allies and partners in the Pacific — who are practicing a policy of containment, Kotani and Kirchberger said. Kirchberger stressed how Chinese President Xi Jinping and other Chinese leaders see a democratic Taiwan, in particular, “as a threat to the stability of the [Communist] system.” They clearly understand that China’s largest population, economic and industrial centers are concentrated on its eastern coast and under air and sea threat from this American system of alliances and partnerships. The military systems that specifically concern China include Aegis Ashore, ballistic missile defense primarily Terminal High Altitude Area Defense now deployed in Korea and global strike capabilities launched from air bases on Guam to Japan and patrolling ballistic missile submarines. “They challenge Chinese nuclear deterrent,” she said.